Photo courtesy SMART Tech Inc.
A SMART Board is pictured. A board trainer demonstrated how the board works to the Oklahoma Council of Teachers of Mathematics on June 11 at OCCC. Members of the OCCC Science and Math Division researched the latest in classroom technology when they participated in a demonstration of SMART Board technology recently. OCCC hosted the summer conference for the Oklahoma Council of Teachers of Mathematics June 11. There, Susan Sawyer, certified SMART Board trainer, gave a demonstration. The SMART Board Sawyer used was a third-generation model, produced by SMART Technologies. Sawyer said they cost more than $2,000 each but could be shared by multiple teachers. Math Professor Gail Malmstrom said SMART Boards also allow teachers to save step-by-step class presentations, so if a student misses a class, it would be possible to could go online and get the information they’ve missed. 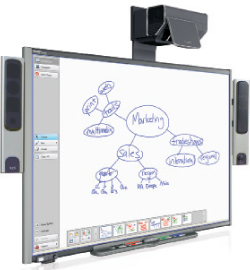 SMART Boards are interactive computerized white boards that connect to a computer. 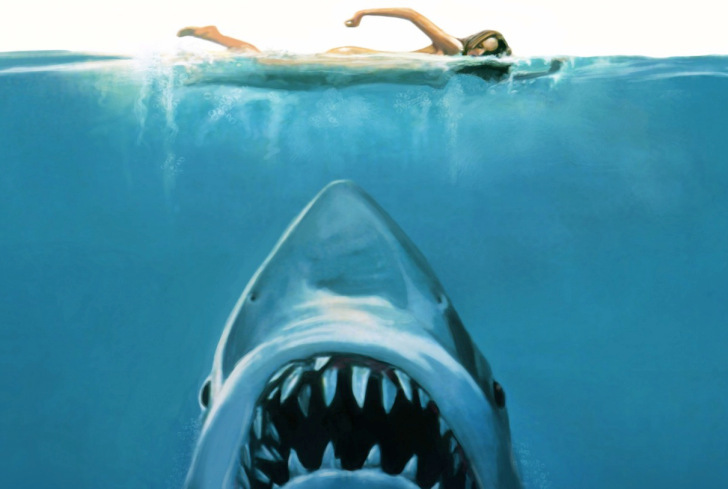 From the computer, they run off a software program called Notebook, Sawyer said. The boards allow a user to screen capture all notations written upon the board and allow the audio recording of their accompanying lectures. This allows math professors to play back their equations in step-by-step format, with an explanatory voice over, Sawyer said. As opposed to dry erase boards or PowerPoint presentations, the boards can save any information written upon them, she said. This allows a teacher to pull lessons from their computer, and thus pull up any information that a computer can store, like videos, Internet links or images. During Sawyer’s presentation, her SMART Board didn’t appear to work properly, as the screen would stop registering her touch. The same problem was encountered at a second demonstration, at the Pro Presenter’s merchandise table later that day. Devon Gunter, Math Lab developmental instructor, said he felt buying SMART Boards for math classrooms would be a good use of college funds. “Anything we can do to get the students more interactive in their learning is a good investment,” Gunter said. OCCC has two SMART Boards, Malmstrom said. She said she doesn’t believe SMART Boards are feasible for the college, due to teachers not having their own classrooms. Sawyer said the boards are not very portable, so if OCCC were to implement SMART boards, it would need one per classroom. “But it’s feasible for multiple teachers to share one SMART board, provided they have their own personal user login, and you can circumvent changing of lessons if professors saved their material on portable flash drives,” Sawyer said.